ElizabethDBakes is a successful "free from" baked goods manufacturer. This is her second PrimeStox offer. Paid back on 11 Nov 18 14 days early!!! ElizabethDBakes' first offer on PrimeStox repaid early. Now the company is taking the next step: moving to larger premises, exporting and investing in marketing. You can fund ElizabethDBakes' growth here. You can earn 8.4% in 7 months. The offer is backed by a selection of Elizabeth's finest products. ElizabethDBakes II successfully raised £35,520 to fund the production of 888 packs 369 days ago. Check back soon for more offers. ElizabethDBakes' first PrimeStox offer was one of our earliest repayments ever. 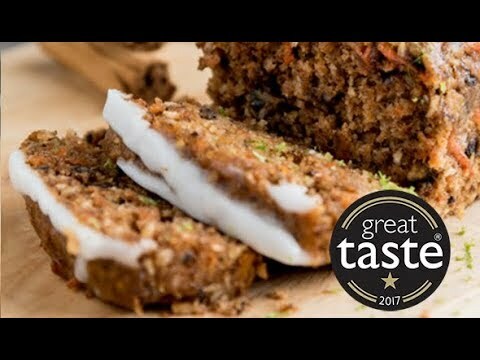 In 2017 ElizabethDBakes Ltd achieved sales of over £100,000 and in 2018 the company expects sales to double. This considerably expands the company's geographical reach. ElizabethDBakes is now concluding agreements to supply independent shops around the UK and to export. Major European buyers and supermarkets have expressed serious interest. To manage growing demand the company plans to move to bigger premises in the next quarter. These will be located in the same rapidly-growing area of South East London. These premises require mulitple ovens and more staff to make the delicious goods. To fund this ElizabethDBakes is raising £35,000 and is asking for your support. In return she is offering to repay in 7 months plus 8.4% profit. The offer is backed by 875 specially selected packs of gluten free and vegan products.